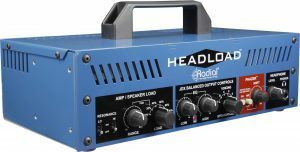 The Headload™ is a power attenuator that connects between your amplifier and speaker to capture the dynamics and warmth of your amp at low, neighbour-friendly volumes. Featuring two built-in JDX amp DIs—one pre-EQ and one post-EQ—the Headload eliminates the need to use a microphone to capture the sound from your amplifier. Should you decide to combine the DI signal with a microphone, the Headload is augmented with a built-in Radial Phazer to time-align the two signals to create massive tones. 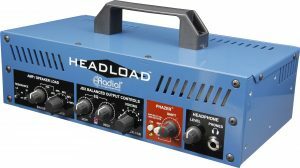 The Headload uses a 6-position rotary switch to set the desired power reduction from unaltered all the way down to complete silence. 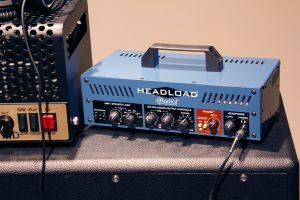 When the output is completely soaked, the high-quality headphone amplifier can be used for silent 3:00AM practicing. 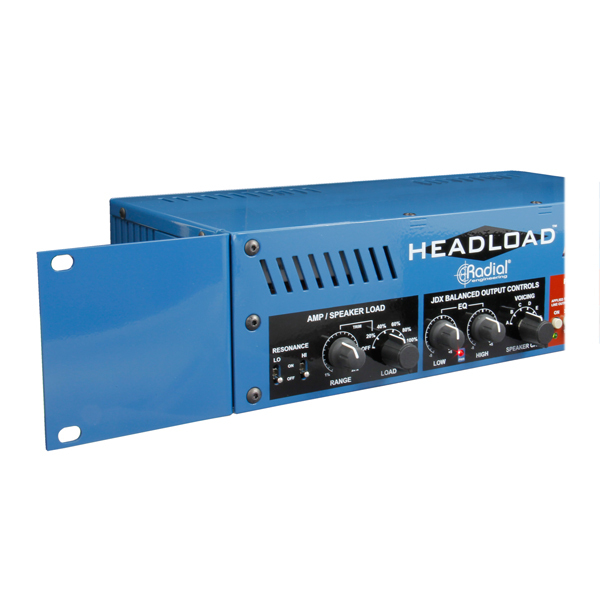 The Headload lets you reduce the output level going to your speaker cabinet for a more controlled stage sound. 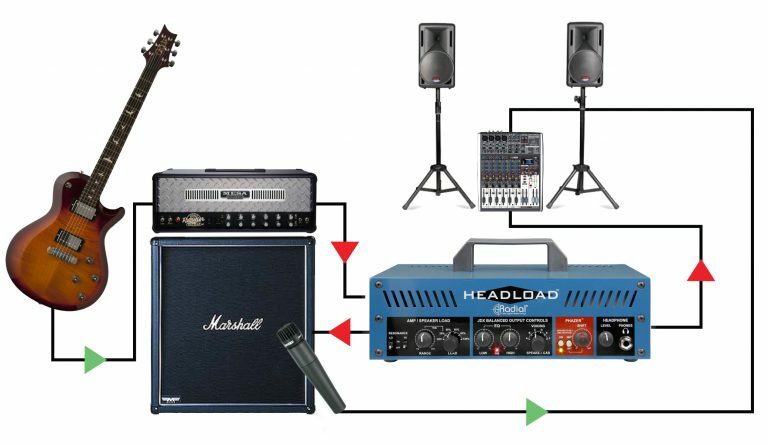 This makes it easier for the engineer to mix. 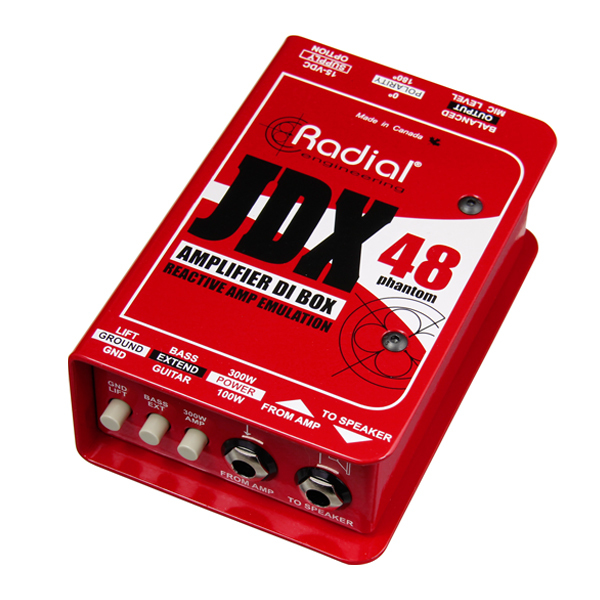 Use the Headload as a 'dummy load' by turning the speakers off and record in complete silence via the built-in Radial JDX Reactor. 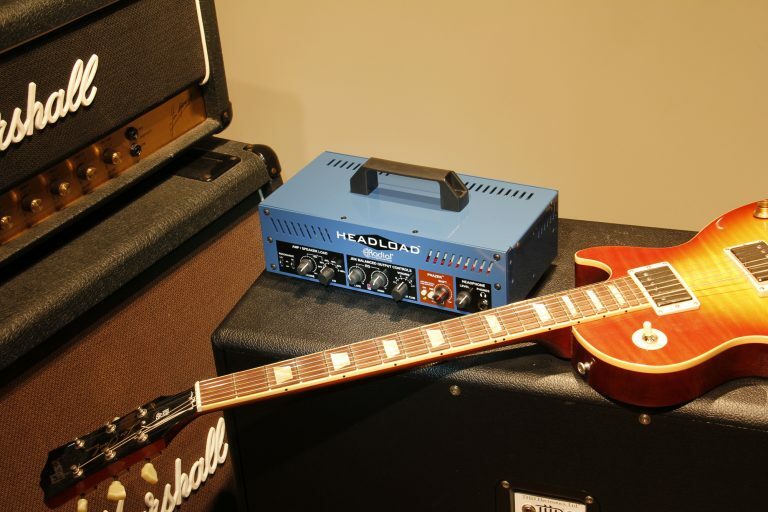 Works great on guitar and bass! 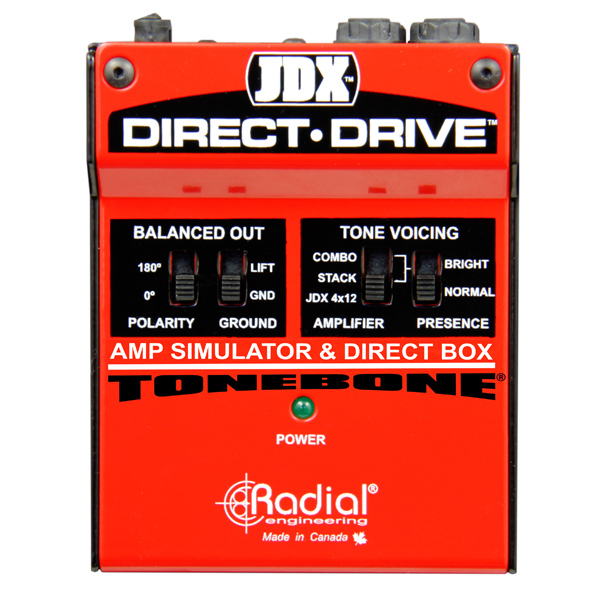 For the absolute best tone, combine the direct feed from the JDX with a mic and then phase align the two signals using the built-in Radial Phazer. 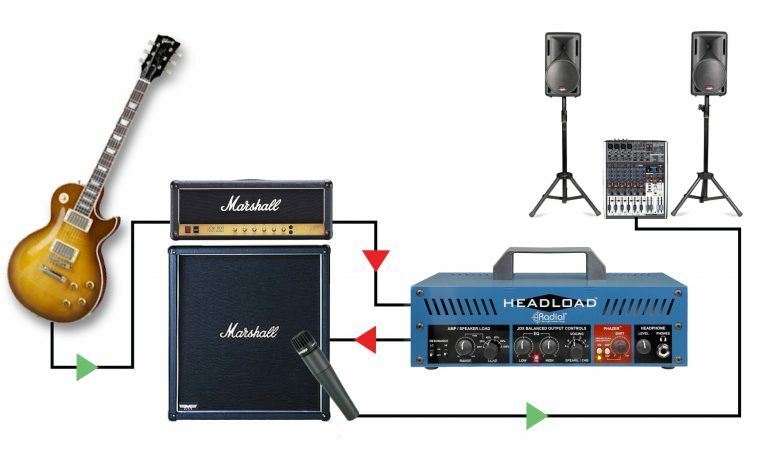 Be prepared for madness! 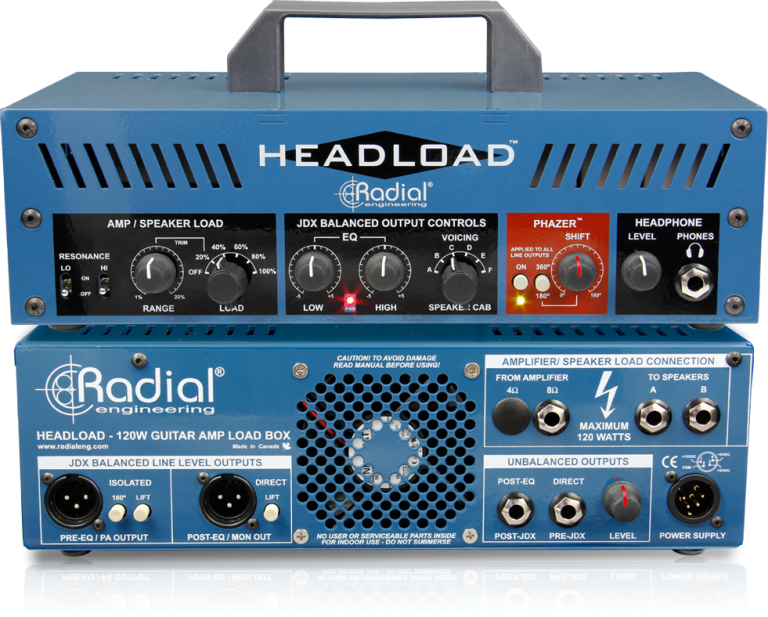 "The Radial Headload will definitely tick all the boxes for many... 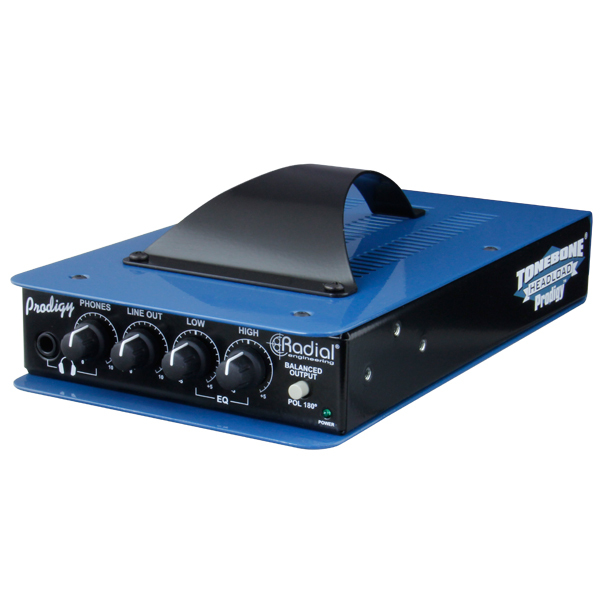 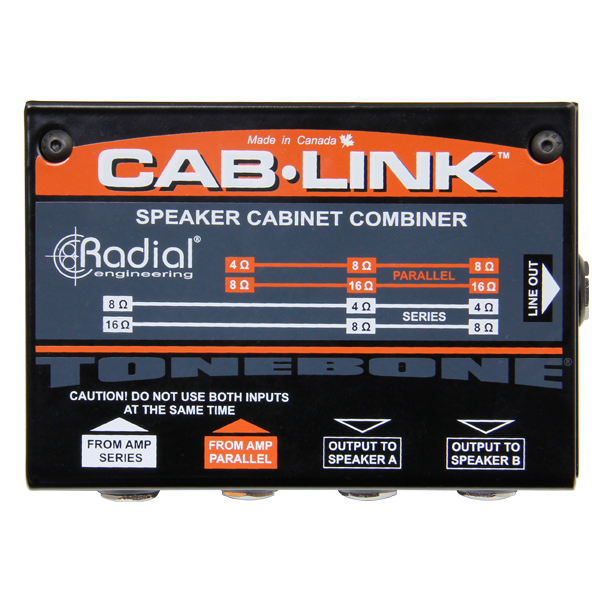 The Radial name is synonymous in the industry with robustness so this box might just be right for your studio or next tour." 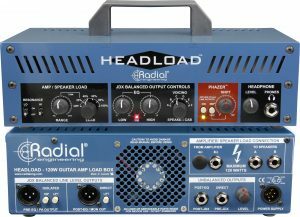 "Radial's Headload... excels on stage and in the studio, and is packed with extremely functional features that make real-world application of high wattage amplifiers much more straightforward without sacrificing tone." 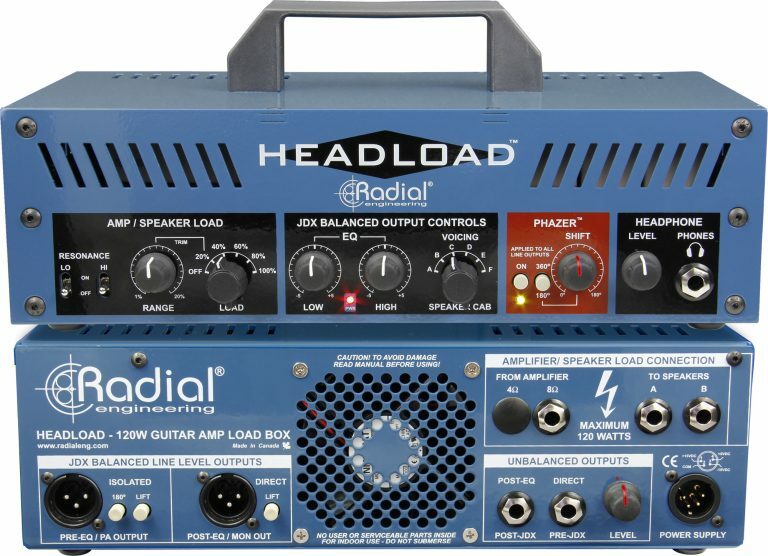 "Radial’s Headload sounds at least as good as any attenuator/direct box I’ve heard, and it boasts more useful features than any of them... For players and engineers who must contend with varying venues night after night, this Swiss Army guitar D.I. could become one of the most crucial tools in in the road case." "I'm certainly more than happy to record - and gig - my valve amps with a Headload, and I'm not at all sure that I'll be letting this one leave me any time soon." 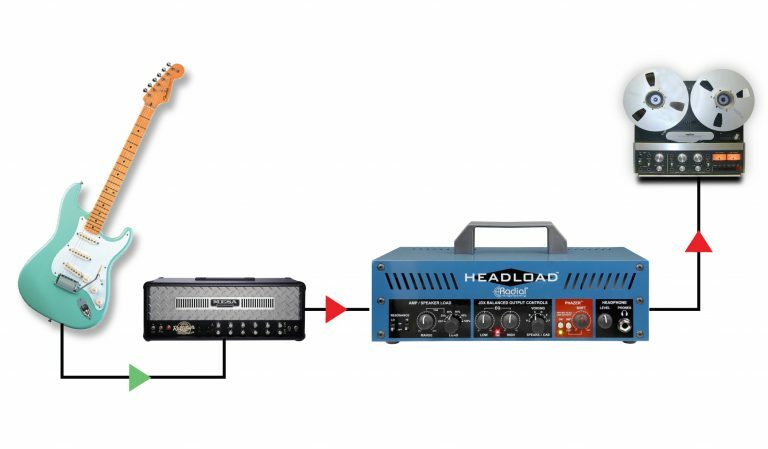 "As a versatile and fully featured performance tool, the Headload's outstanding functionality makes it hard to beat."